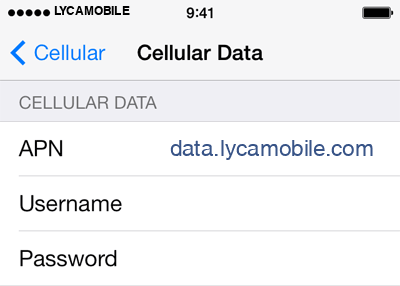 Now, restart iOS to apply new LycaMobile 2 APN settings. On iOS, APN settings should be entered in correct case. 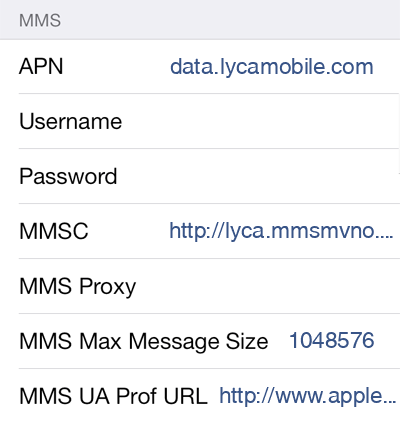 For example, if you are configuring your APN setting with LycaMobile Internet & MMS APN settings configuration above, make sure you enter APN as data.lycamobile.com and not as DATA.LYCAMOBILE.COM or Data.lycamobile.com.